One of the last illustrations my daughter did for candymagdotcom. Thanks to her very supportive supervisor Ms. Clare Magno. N had a very productive internship with the online magazine. 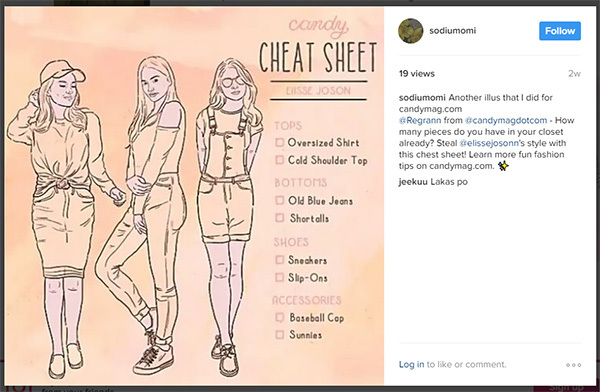 This entry was posted in Fashion tips, Fashion trend, Outfit and tagged Candy cheat sheet, candy magazine internship, candymagdotcom, elise joson on March 26, 2017 by Mommy Yam. 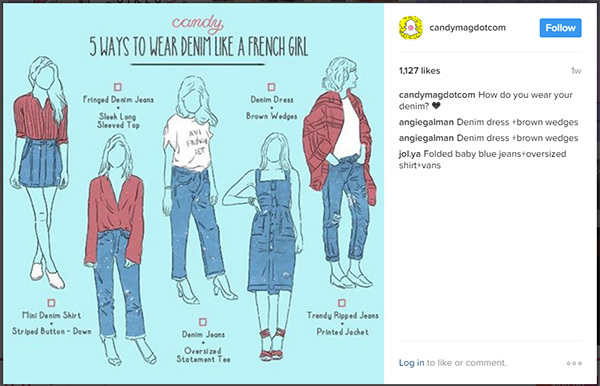 This entry was posted in Fashion tips, Fashion trend, Outfit and tagged candy magazine, different ways to wear a denim outfit on March 10, 2017 by Mommy Yam. This is N’s second illustration (in gif format) for candymagdotcom. One proud mom here. 🙂 Thanking the awesome people of Candy Magazine for N’s fruitful internship program with them. 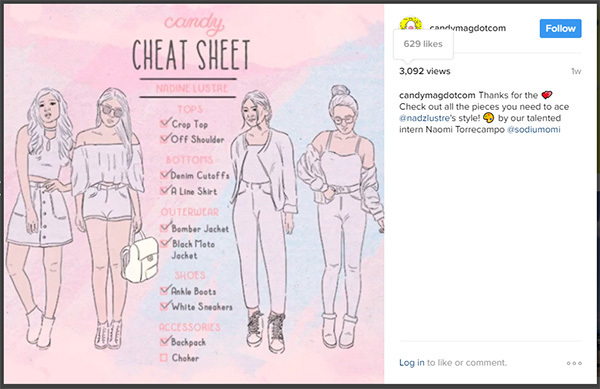 This entry was posted in Fashion tips, Fashion trend, Outfit and tagged Candy cheat sheet, candymagdotcom, illustration, internship, Nadine Lustre fashion style on March 1, 2017 by Mommy Yam.